A test driver was behind the wheel of a self-driving Uber vehicle when it struck and killed a woman in Tempe, Arizona on Sunday night. Autonomous car companies have test drivers on board so they can take over in case of emergencies. But that safeguard wasn’t enough to prevent the death 49-year-old Elaine Herzberg. Tempe police say Herzberg was walking her bicycle across a street when Uber’s Volvo XC90 SUV hit her. It’s unclear as of now what exactly happened. The test driver, Rafaela Vasquez, has not been charged in the incident. But it’s thrown the role of test drivers into the spotlight. 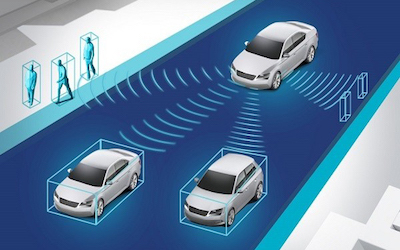 Why would a self-driving car have a human behind the wheel? Automakers, tech companies and startups are all developing self-driving cars, but the tech is far from perfect. Companies hire human test drivers to sit behind the wheel of self-driving vehicles and take over when necessary, say, if a car’s sensors fail to recognize a bicyclist, pedestrian or other vehicle — or if the software system crashes.